A new study found that around 14 percent of Americans have lied about their vacations. According to research from flight-comparison site Jet Cost, travelers from the United States have cited being embarrassed, the desire to seem well traveled and the hope of impressing someone as the main reasons behind their lies. In addition, two-thirds of the over 4,000 Americans surveyed have also lied about their experiences, with the weather, quality of accommodation and amount of sightseeing done the most common fibs. The study also found that 27 percent of respondents have traveled internationally, with 61 percent admitting they exaggerated the truth about their vacation. Weather conditions top the list at 34 percent, quality of accommodations was second at 29 percent and the amount of sightseeing was third at 27 percent. Travelers from the U.S. also lied about the amount of alcohol consumed (23 percent) and how much money they spent (21 percent). 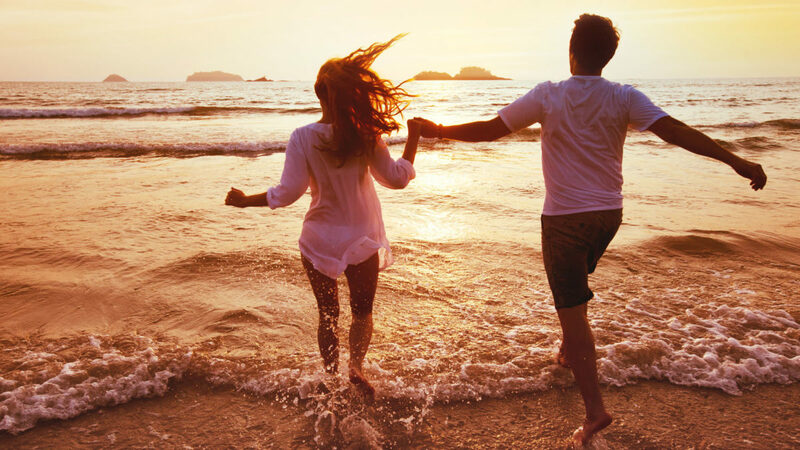 Another 68 percent said they told someone they enjoyed their vacation more than they did and 52 percent revealed they wouldn’t tell anyone if their trip was a disaster. In the most surprising finding, 10 percent of respondents admitted to posting a fake picture on social media to reinforce the lies. Three Kern County schools had a lot to celebrate this week as they were recognized for their commitment to education. 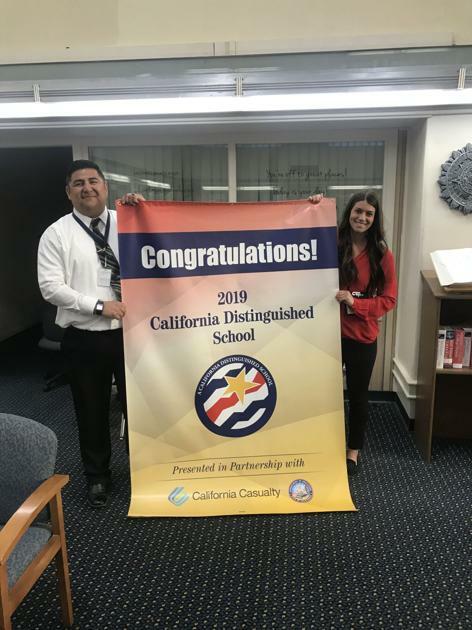 Delano and Cesar E. Chavez high schools and Rosedale Middle School received a 2019 Distinguished School banner from California Casualty. Schools were awarded for achieving exceptional student performance for two consecutive years or for closing the achievement gap during the previous two school years, according to a press release. The entire list of 2019 California distinguished schools can be found here. 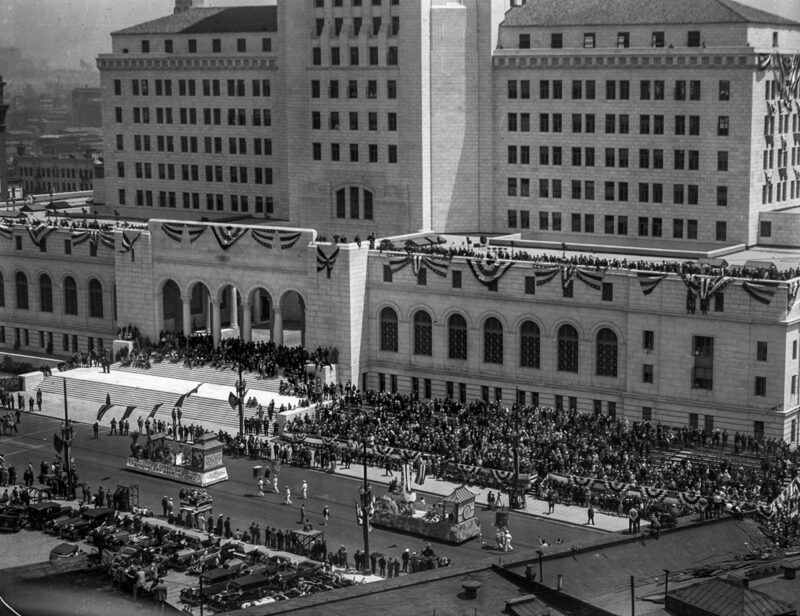 The 32-story, 454-foot-tall Los Angeles City Hall opened with a three-day public celebration April 26-28, 1928. Construction started in 1926. Sand for the concrete used came from each of California’s 58 counties. Water came from the 21 historical missions. Where 147 years ago the sandaled padres and the booted dons trod deserted plains, yesterday a city of upward of 1,500,000 people gathered to dedicate the new Los Angeles City Hall, a sheer tower of white symbolizing a new era of progress and accomplishment for the Pacific Southwest. The $9,000,000 public building, the largest in the West and one of the most distinctive in the world, was accepted on behalf of the people of Los Angeles by Mayor Cryer yesterday as the high point of ceremonies, magnificent in the panoply of peace. Other activities on April 26 included band concerts, speeches, a U.S. Army Aero Squadron encircling the Lindbergh beacon and at 7:30 p.m., opening of doors to the public. On April 27, 1928, City Hall held an open house for the public. On April 28, another historical parade and flag pageant occurred. The above photo was taken from the third Los Angeles Times building at First and Broadway. Sign saying “Manufacturers Exhibit” is on the Chamber of Commerce building. Beyond it is the old Los Angeles City Hall. The parade turned to the left on First Street, then proceeded to the new City Hall on Spring Street. North Korean leader Kim Jong Un has arrived in Russia’s Vladivostok for talks with Russian President Vladimir Putin. Kim arrived on his armored train, which pulled into the station in the Pacific port of Vladivostok Wednesday evening. He was greeted by a military orchestra before he got into his personal limousine that traveled with him, and drove away. Kim’s Russia trip comes about two months after his second summit with U.S. President Donald Trump failed because of disputes over U.S.-led sanctions on the North. North Korean leader Kim Jong Un has arrived in Russia for his summit with President Vladimir Putin in the Pacific port city of Vladivostok. Russian news agency Tass quoted a local official as saying Kim was given flowers, bread and salt at the Hasan train station after crossing the border. 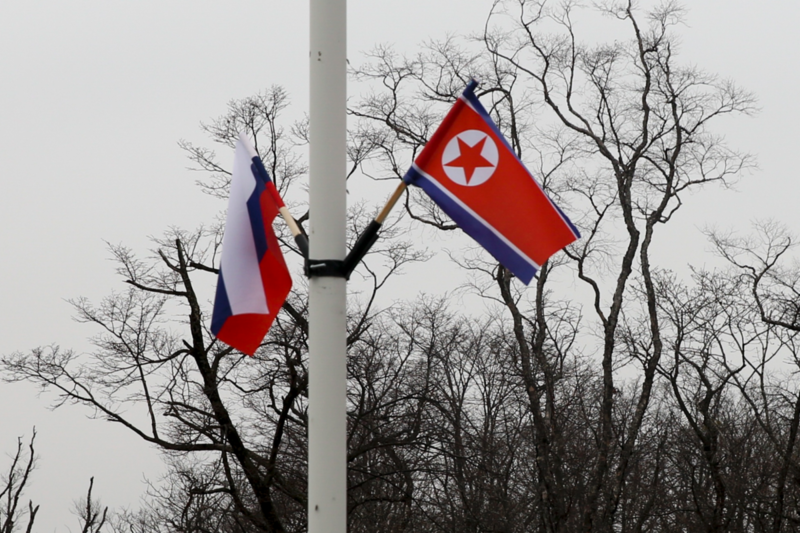 Kremlin adviser Yuri Ushakov told Russian media Tuesday that the summit Thursday will focus on North Korea’s nuclear program. Kim’s Russia trip comes about two months after his second summit with President Donald Trump failed because of disputes over U.S.-led sanctions on the North. The state-run Korean Central News Agency said Kim was seen off by officials and residents as he left Pyongyang by his special train at dawn Wednesday. Rock ‘n roll fans will stand for just about anything–literally. Sometimes they get so caught up in the energy and excitement of a concert that they’ll stay on their feet for four or five songs–despite attempts by ushers and security guards to get everyone seated. Sooner or later, however, even the most enthusiastic audience tires of standing during a concert. The first slightly slow song is a sure bet to send the fans down in waves. Rarely does a crowd at the Forum stay up for a whole show. 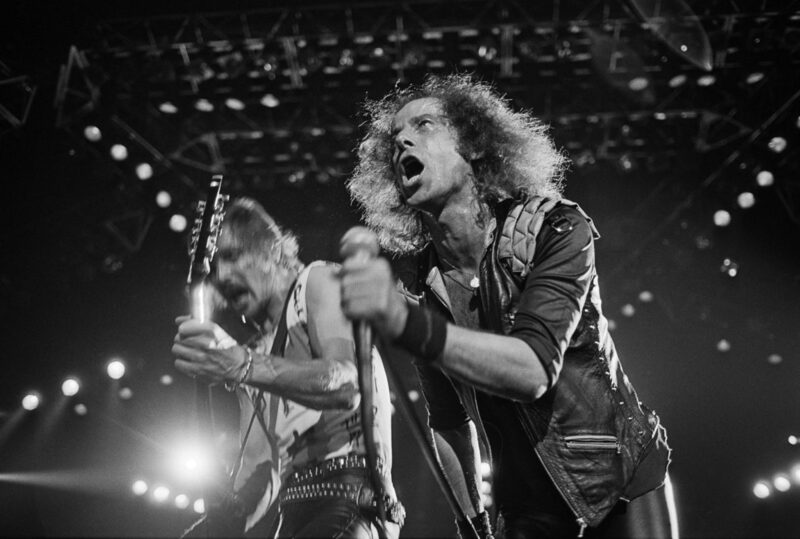 But it happened Tuesday night, when the Scorpions played the first of two consecutive evenings at the Inglewood area (they also headline the San Diego Sports Arena tonight and the Pacific Amphitheatre Saturday). Except in the far upper reaches, so distant from the stage that the people may have thought the band was the Lakers, the capacity crowd stood through the entire two-hour set, including two encores. What is it about this German heavy-metal band that earns this response? Respect for the group’s longevity? After all, this quintet has been plowing the hard-rock field for almost 15 years, reaping its first U.S. top 10 album, “Blackout,” only two years ago. This post was originally published on May 6, 2014. 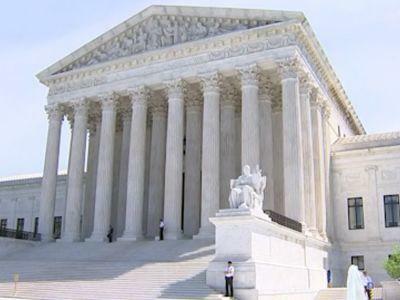 The U.S. Supreme Court heard arguments Tuesday on the Trump administration’s mission to add a citizenship question to the 2020 Census. Court watchers say, based on the discussion, things appear promising for the president’s side. No matter how you feel about the issue, know that the addition of a citizenship question will cost Kern County some federal money — and perhaps even some representation. By the Census Bureau’s own analysis, 5.8 percent of U.S. households with a non-citizen, fearing repercussions from federal immigration authorities, will not respond to the census at all. That’s about 6.5 million people across the U.S., roughly the population of Indiana. This matters because census results help establish the number of lawmakers in the U.S. House of Representatives each state is apportioned, as well as how federal dollars are distributed for things like highways, prisons, education, veterans’ benefits and a whole lot more. According to the Public Policy Institute of California, hard-to-count communities are distributed across several counties in the San Joaquin Valley but are most concentrated in T. J. Cox’s 21st Congressional District and Jim Costa’s 16th, where 42 percent of census tracts are especially challenging. Six state legislative districts in the southern San Joaquin Valley have populations that are at least 15 percent non-citizen, according to the PPIC. Among them are those of Cox and Costa, Melissa Hurtado (14th state Senate) and Rudy Salas (32nd Assembly). Also notoriously hard to count: Children under 5, who make up 8 percent or more of the population in Kern and four nearby counties. It was about dusk on Sunday, Nov. 16, 1980, and the Moores were driving south on Highway 99 from Delano to visit friends in McFarland with their 4-year-old daughter. Seemingly out of nowhere, a white Ford Galaxie overtook their Honda Accord and one of its four passengers, hanging out of the right-rear passenger-side window, fired three shots at their car. The first struck Petrina, seven months pregnant, in the back of the head. Moore believes she was killed immediately. Their unborn child didn’t make it either. The Kern County Sheriff’s Office didn’t have much to go on — no shell casings, no tire tread prints, no meaningful witness descriptions of the four young Hispanic men — and the homicide was eventually moved to cold-case status. The case file, presumably including at least one recovered slug, was eventually removed from the evidence room and destroyed because of the passage of time. Sgt. David Hubbard of the KCSO said technology that might match a spent bullet with the firearm that fired it does not exist. And in any case, investigators do not possess the revolver used in the crime, so they would have nothing to match it with. He’s still hoping someone comes forward with information perhaps forgotten, repressed or buried under misguided loyalty. My guest for my Wednesday noon webcast, “One on One with Robert Price,” will be Michelle Corson of the Kern County Public Health Services Department. Corson will be fresh from a Wednesday morning press conference announcing the release of 2018 Kern County valley fever data. My hunch is that the news will not be good about efforts to control and treat the indigenous, debilitating airborne fungus. She and I will discuss the new valley fever numbers, as well as: the county’s Waste Hunger Not Food program, which Corson personally manages; local vaccination rates, and the importance of therefore, especially amid this nationwide measles outbreak; and the joys of the imminent mosquito season, such as West Nile virus. POST-MUELLER INVESTIGATIONS: If Nancy Pelosi favors more investigations of Trump, she will not be disappointed … House Judiciary Committee Chairman Jerrold Nadler, D-N.Y., on Monday subpoenaed former White House counsel Don McGahn to testify publicly on May 21, following last week’s release of Special Counsel Robert Mueller’s report on the Russia investigation. Nadler described McGahn, who stepped down as White House counsel in October 2018, as “a critical witness to many of the alleged instances of obstruction of justice and other misconduct described in the Special Counsel’s report.” He has set a May 7 deadline for him to provide documents related to the Mueller investigation. 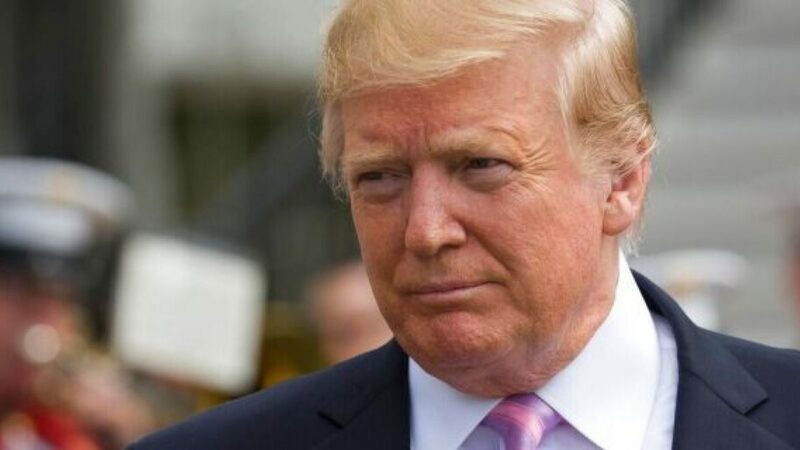 Meanwhile, lawyers for President Trump have sued to block a subpoena issued by members of Congress that sought the business magnate’s financial records. NORTH KOREA’S KIM, PUTIN TO MEET: North Korean leader Kim Jong Un will soon visit Russia to meet with President Vladimir Putin, the North’s state-run Korean Central News Agency confirmed Tuesday without releasing a set date or location for the meeting … The meeting may give Kim more leeway in future negotiations with President Trump after their February summit in Vietnam broke down due to disagreement over ridding North Korea of its nuclear arsenal. The Kremlin announced last week that North Korea’s supreme leader will visit Russia “in the second half of April,” but did not elaborate further. OLD TWEET HAUNTS ILHAN OMAR: A resurfaced tweet from Rep. Ilhan Omar saw the Minnesota Democrat claim U.S. forces killed “thousands” of Somalis during the 1993 “Black Hawk Down” mission — despite multiple analysts concluding the number was much smaller … In the October 2017 tweet discovered by journalist John Rossomando, Omar was responding to a Twitter user who’d highlighted that more than a dozen U.S. soldiers were killed and another 73 were wounded in the Battle of Mogadishu, saying it was the “worst terrorist attack in Somalia history.” Omar, a Somali refugee who was then a Minnesota state representative, refuted the tweet, insisting that “thousands” of Somalis were killed by American forces. The number of Somali casualties in the Battle of Mogadishu is widely disputed. Klobuchar has ‘please clap’ moment, says CNN’s Chris Cuomo ‘creeping’ over shoulder during town hall. McConnell vows to be ‘grim reaper’ of socialist Dem proposals. Herman Cain withdraws from Fed seat consideration. Elizabeth Warren wants to ‘cancel’ student debt for millions. IRS audits may start to target more wealthy taxpayers. Fox & Friends, 6 a.m. ET: U.S. Sen. Mike Lee, R-Utah, on Democrats’ push to investigate President Trump. Plus, Did the media fail to properly recognize that the bombings in Sri Lanka was an attack on Christians? The Story with Martha MacCallum, 7 p.m. ET: An exclusive interview with talk radio icon Rush Limbaugh! Mornings with Maria, 6 a.m. ET: U.S. Sen. Cory Gardner, R-Colo.
Varney & Co., 9 a.m. ET: U.S. Sen. Mike Lee, R-Utah. Countdown to the Closing Bell, 3 p.m. ET: Todd Krizelman, co-founder of TheGlobe.com. Lou Dobbs Tonight, 7 p.m. ET: Kevin Hassett, chairman of the Council of Economic Advisers. The Fox News Rundown podcast: “Social Security Funds to Run Out in 2035” – Social Security reserve funds are expected to run out by 2035, according to the latest Social Security and Medicare trustees report. Fox Business Network correspondent Edward Lawrence breaks down the report and what happens if Congress does not act fast to fix it. Federal benefits programs have become a main attraction for many immigrants entering the United States. Fox News correspondent William La Jeunesse explains the financial cost of immigration to our economy. Plus, commentary by Leslie Marshall, Democratic strategist and Fox News contributor . The Brian Kilmeade Show, 9 a.m. ET: Mary Walter guest-hosts. Special guests include: Allen West, former Florida congressman, on the latest in the Sri Lanka terror attacks on Christians; Michael Goodwin, New York Post columnist, on why President Trump’s best path forward is to ignore Democrats and focus on policy; Chris Stirewalt, Fox News digital politics editor, on the latest in the 2020 presidential race and more. The Todd Starnes Show, Noon ET: Todd speaks with John Bursch, vice president and senior counsel at Alliance Defending Freedom about their latest case for religious freedom. 2005: YouTube uploads its first clip, “Me at the Zoo,” which shows YouTube co-founder Jawed Karim standing in front of an elephant enclosure at the San Diego Zoo. 1995: Iconic sportscaster Howard Cosell dies in New York at age 77. 1971: Hundreds of Vietnam War veterans opposed to the conflict protest by tossing their medals and ribbons over a wire fence in front of the U.S. Capitol. 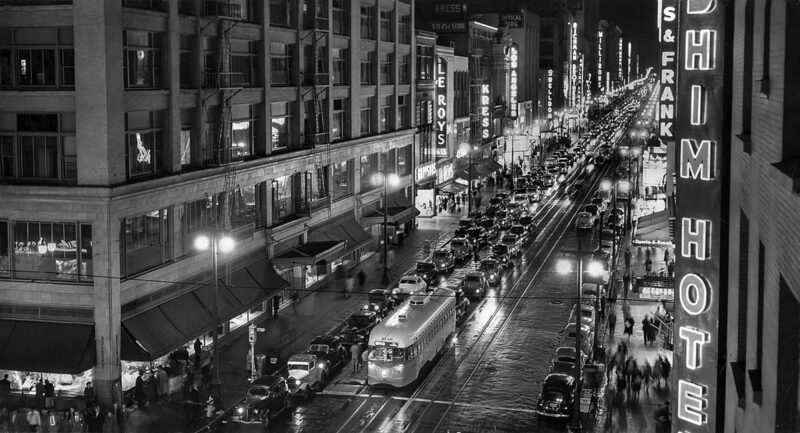 From the Archives: Sparkling night on Broadway in L.A.
CLEAN AS A WHISTLE – Sparking lights against clean, dark surfaces make a radiant picture of nighttime Los Angeles. This is Broadway, looking north from 7th St. This post was originally published on Jan. 16, 2015. Author Feed EditorPosted on April 23, 2019 Categories LA Times, News FeedsLeave a comment on From the Archives: Sparkling night on Broadway in L.A.